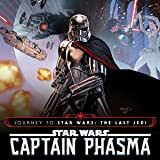 Collecting Journey to Star Wars: The Last Jedi - Captain Phasma #1-4. What happened to Captain Phasma after Star Wars Episode VII: The Force Awakens? 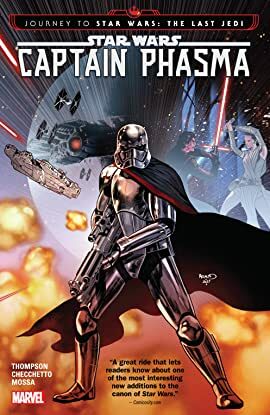 Writer Kelly Thompson (HAWKEYE) and artist Marco Checchetto (AVENGERS WORLD, PUNISHER, GAMORA) expand Captain Phasma's story and reveal how she escaped the destruction of Starkiller Base. It's the stunning lead-in to this winter's blockbuster big-screen Star Wars film, and everything you need to know is right here!